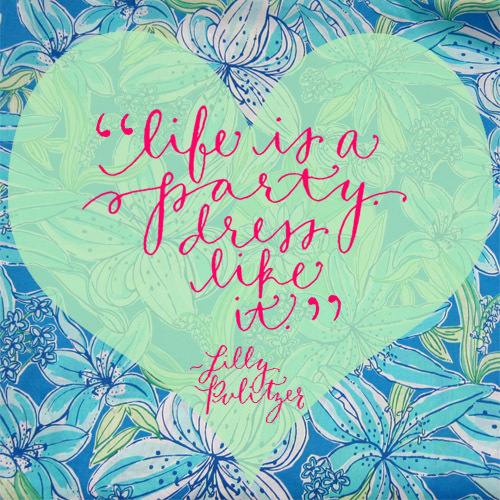 Today I want to show you some of my favorite pieces from the Lilly Pulitzer Fall 2013 collection. This collection is so amazing. 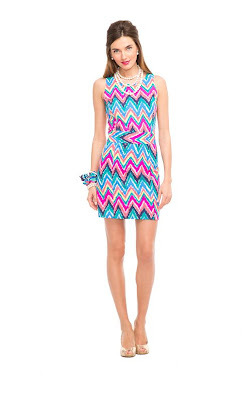 I love the bright colors, bold prints, and the classic silhouettes. The legacy of Lilly Pulitzer will definitely live on because of this fabulous collection. This look is so chic and classic. The bright pink blazer and top are balanced out with the super cute and girly lace shorts. Also this look would be super easy to re-create if you can't afford Lilly Pulitzer (Which I know I can't! But it never hurts to admire from afar.) Just pair a bright blazer or even a black one with fun flirty lace shorts. 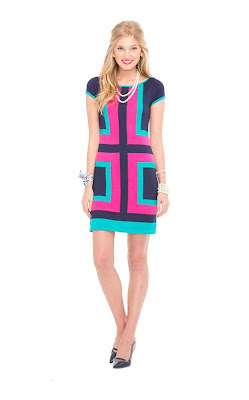 This dress is super bright and fun. I am obsessed with everything chevron so the print is super appealing to me. The colors are bright but they sill work for the fall season. If you paired this dress with some tall boots and a sweater it would be perfect for a cool fall night. This black lace dress is stunning. I love the detail on the hem and on the sleeves. Overall it is a classic little black dress that would work for a lot of different types of women. Also, I think you could either dress this up or down. Wear it with a pair of flats and a jean jacket for a more casual look. Or pair it with heels and pearls as you see in the picture for a more formal look. This turquoise dress on the right I think has a super cute vintage vibe. It reminds me a lot of the fifties/ sixties. I also really like the butterfly pattern. It's girly and feminine without being overpowering. This classic american designer will live her legacy on for years to come.